Our bracelets are made only from natural Baltic Amber and they offer a great solution for teething babies. 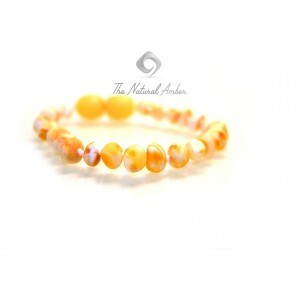 Wearing amber bracelet is known to be an effective and drug-free remedy for minimizing pain associated with teething. 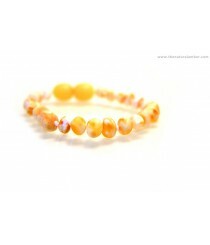 - Based on customer demands bracelets can be made with either Plastic Screw Clasp or on Elastic Band.